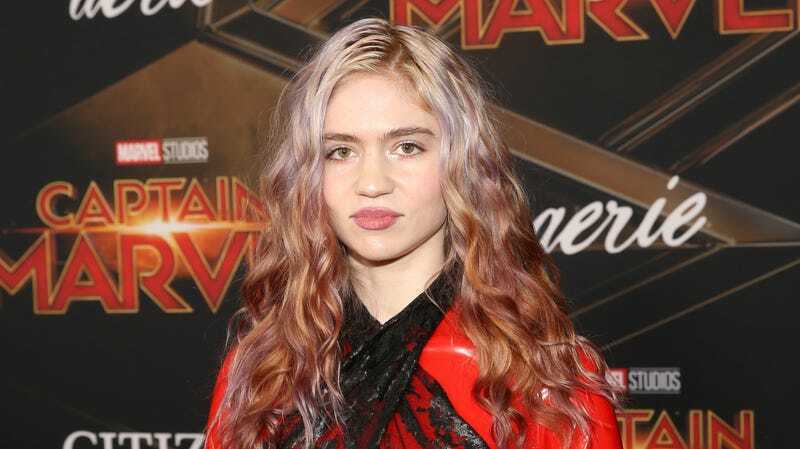 The first thing I learned in Grimes’s interview with the Wall Street Journal Magazine is that Grimes doesn’t want to go by Grimes anymore, and wishes to be called c, as in the speed of light, a nerdy holdover from her relationship with spaceship hobbyist Elon Musk. She thinks of herself as a feminist—or at least, she feels some sense of feminist obligation, to audibly groan whenever Musk’s name is mentioned—which, same, but probably for different reasons. Then, a moment later, “And look, I love him;”—she won’t even say his name, but she’s talking about Musk—“he’s great. There’s got to be some reason. I just think....” And now, starting and stopping again, she begins to contort her body slightly smaller, as if disappearing into a ball. “I wish.” Another stop. “Yeah. It doesn’t matter.” More thinking. Contorting. Shrinking. Then she straightens up. She has moved on. “Cool,” she says. And that is all she will say about that. She seems happy and thoughtful and most of all free. Killer stuff! What about her music? What does it sound like? Ah yes, I’m familiar with both layers and sounds in their many forms. Best of luck to Grimes in vanquishing her self.